PRESQUE ISLE — A panel discussion with a group of millennials, who choose to live and work in Aroostook County, will highlight the upcoming Aroostook Partnership annual meeting at 7:30 a.m. Thursday, Nov. 16 at the Edmunds Conference Center at Northern Maine Community College. “With the strong Partnership emphasis on securing our future labor force, we thought it would be great to get their perspective on The County, what they would like to see happen, how they view careers in the region and whether they see sufficient opportunity for career enhancement here,” said Aroostook Partnership President and CEO Robert Dorsey. Dorsey added this is also a step toward better networking between the younger generation and current County leaders. Already confirmed for the panel are Chelsea Henderson of F.A. Peabody, Jacob Buck of the Maine Malt House, Katie Zarrilli of WAGM-TV and Carter Vaillancourt of Daigle Oil Company. Dorsey said the panel will be filled out with a representative from the healthcare industry. The discussion will be moderated by Matt McHatten of MMG Insurance and a member of the Aroostook Partnership Board of Directors. In addition to the panel discussion, Dorsey will review Partnership initiatives from the past year, present a snap shot of the current economic conditions of Aroostook County and preview an upcoming economic report by the Maine Center for Business and Economic Research on the economic health of Aroostook County. 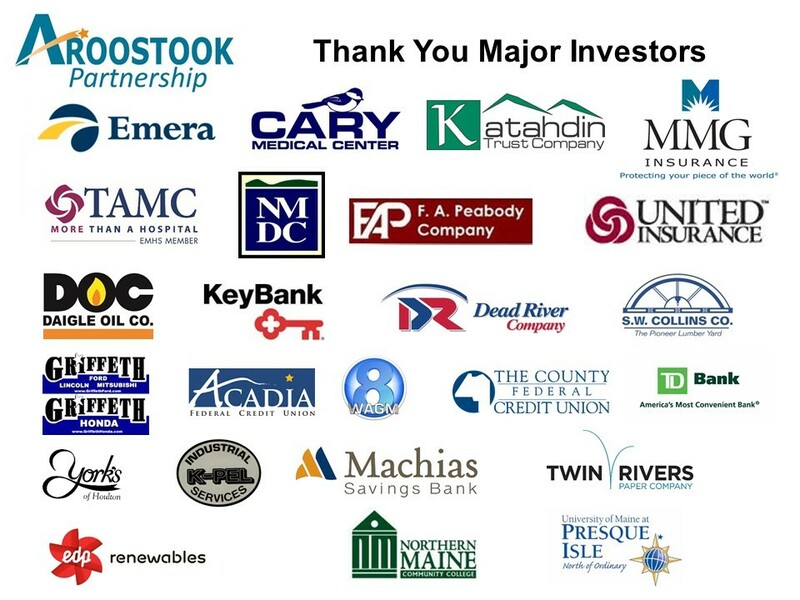 “It is important to have an annual meeting to reinforce to all the Partnership investors the focus and priorities we share under the Mobilize Northern Maine economic strategy and to review the progress that has been made from our efforts over the last year,” said Dorsey. The breakfast is free, but pre-registration is required here.